“Maybe you should paint a piece about your fear,” she suggested…. 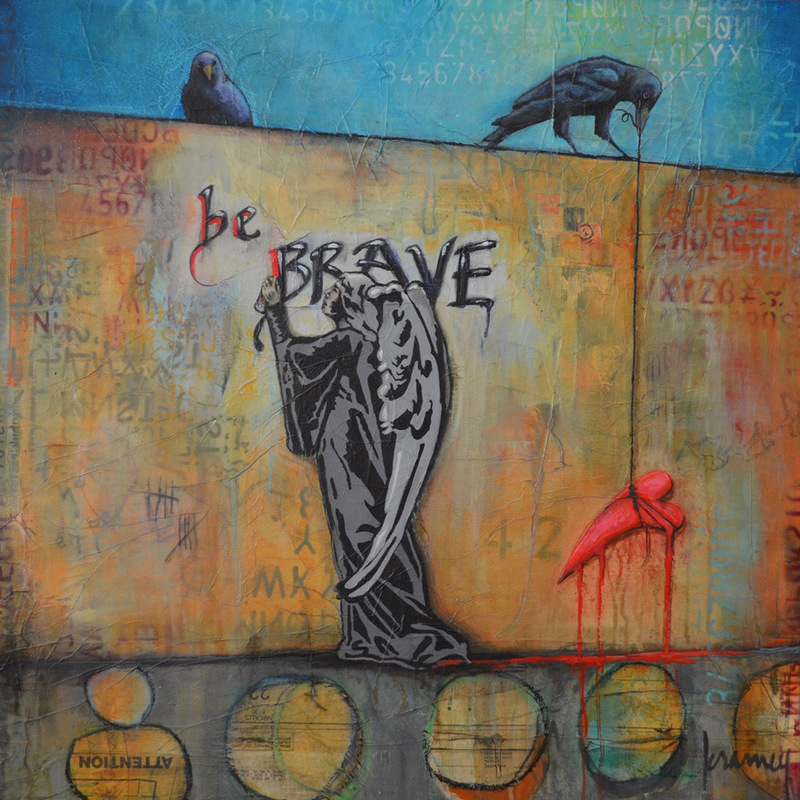 This original mixed media piece is created with vintage papers and acrylics, charcoals and inks on a 30x30inch canvas with 1.5inch sides that have been painted blackest black. The whole painting has been coated with a clear matte finish, however it does have a sheen to it. The painting is wired in the back and suitable for hanging unframed.